There are two I really love. I have been a fan of this product for many years. It’s moisturizing and doesn’t irritate skin after use, and is absorbed into skin quickly. Most importantly my skin didn’t erupt in rash. 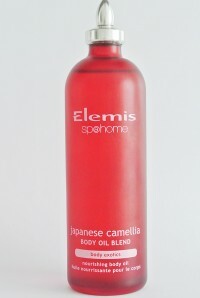 Key ingredients are Japanese camellia oil and sweet almond oil. The scent is very light. When I got pregnant, my therapist also recommended it for use during pre-natal massages as it is safe to use during pregnancy. I used it throughout my pregnancy and was stretch mark free, an amazing feat for my type of skin. One tip: As with most oils, it will get onto your clothes so use this at night and let the oil absorb overnight. I was also pleasantly surprised that Victoria Beckham agrees! Lots of people say stretch marks are genetic but a good friend gave me this advice: As soon as you are pregnant, slather on the moisturizer/oils! Advice I will forever be grateful for. Pricey but worth it. The wallet friendly cousin of Elemis. I discovered this after I gave birth. Spa professionals say it’s also effective with dreaded stretch marks, scars, etc. I know spa therapists who almost bathe in this stuff. A much loved family friend applies it daily from head to toe; has silky smooth skin and looks at least 10 years younger. Kim Kardashian lists Bio Oil as one of her beauty essentials. It is good as a massage oil or all over body oil. I usually apply this to my heels, hands and elbows at night. If I want a “mask” for hands and feet, I add a few drops to a cream moisturizer then wear gloves and socks overnight. It washes off nicely without oily residue. 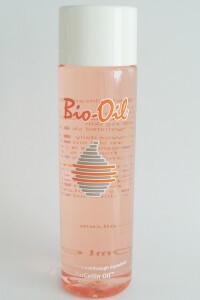 Bio Oil has a subtle smell that will not annoy your significant other. In Asia, it’s not exactly “cheap” but if you stop by Australia or the UK, it’s much more cost effective.